You have a servo with 160oz of torque but a stock servo horn that can handle only 16oz? 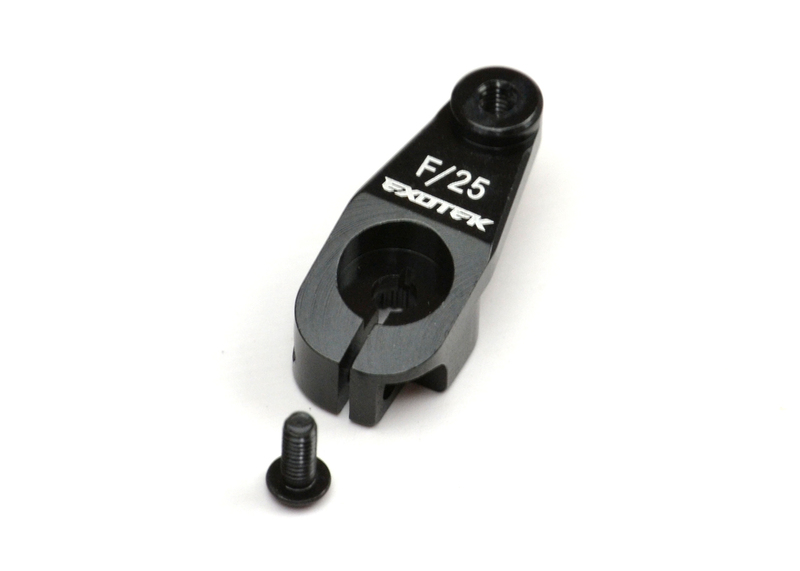 Time to upgrade that servo horn with the Exotek heavy duty 7075 alloy clamping servo horn! This is the only clamping unit that matches the dimensions of the stock servo horn so now you have perfect fit and geometry for robust steering and performance. Perfect replacement for all Associated 1/10 vehicles. Also excellent for other 1/10 brand models- just check our dimensions above for compatibility. 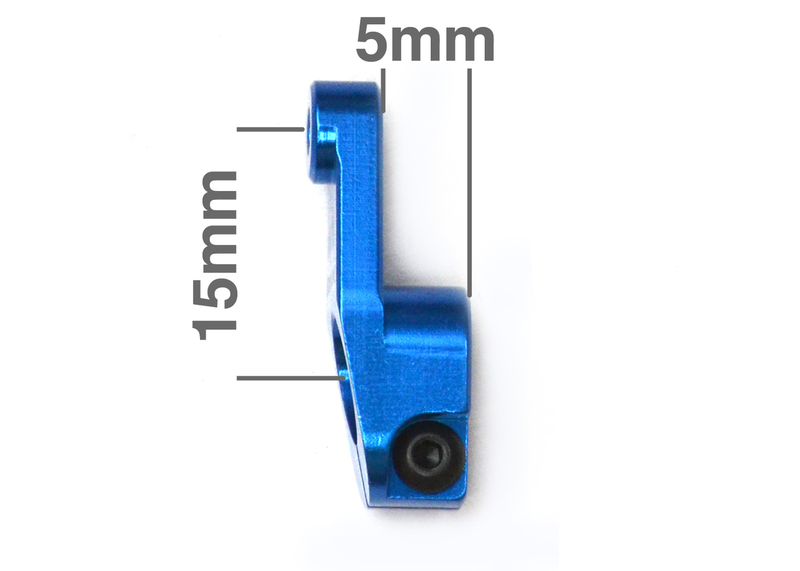 Polished and anodized in factory blue or black and laser etched for easy reference. Large M2.5 clamping screw included. For Futaba and all other 25 spline servos.